"Chiropractic I am a 2nd generation chiropractor, both my Mother and Father are chiropractors, as are my brothers and sister." "Does this matter? I think it does. I grew up 'chiropractic'. I saw the miracles that my Dad achieved in practice. I KNOW what an adjustment should and does feel like. I also have a vast amount of knowledge that my father passed on to me through the years. He took us from school and showed us how it is really done, putting us years ahead in our skill sets. So, does it matter? You tell me." "I practice several techniques and am highly proficient as well. My primary techniques are Thompson Terminal Point or what is also referred to as 'drop' technique. It uses a Thompson table or what most refer to as a drop table to create a safe, smooth, easy adjustment of the spine. It 'drops' about 3/8's of an inch and creates kinetic energy. With that, I don't have to push as hard and your are much more comfortable." "I also practice Koran Specific Technique, utilizing an arthrostim electric adjusting tool. This is an amazingly useful technique that works on nearly everyone. The tool itself is a little like a small 'jack hammer' if you will, only it has soft rubber tips and is now where as strong. It 'taps' the vertebrae into position and resets the nervous system. Those who like the 'clicker', usually LOVE this technique. Those who the clicker doesn't seem to help, LOVE this technique. Why? Because it's very gentle and it works every bit as well as any manual adjusting technique, better in many. Hate to be 'cracked'?? This is your technique. All the correction, none of the cracking." "Okay, so I practice several techniques, I have years and years of experience as well as 2nd gen knowledge passed down. What else makes me different and why should you choose me for your healthcare needs? That is easy. I care. I take my time, I look at you as a person, not just pieces and parts. I promise you that I will do my darndest to get you better, of course realizing the patient has a huge roll to play in getting better." "I am a conservative doctor in that I feel a large portion of my job is to keep my patients OUT of surgery and OFF of medications if possible. If we can restore your health and vitality; if we can help you to live a pain free life naturally, that is what we do." "That I'm conservative does NOT mean I don't x-ray my patients and order MRI's when necessary. I believe in a 'High Tech, High Touch' way of practice. There is wisdom in the old and definitely brilliance in the new. I like to think we're both. You'll find that this office is completely digital and your data is completely safe via massive encryption. It saves me money by not having to buy, fill, and store patient's paper files. I also don't have to rent as much space to store them. This creates lower overhead. With lower overhead is lower prices. Very simple. This clinic is exactly what SHOULD be happening in the medical field all around the country. I don't need a giant, beautiful office to get you better. Believe me, I don't. I've helped people by adjusting them on a 5 gallon bucket! True story, happened at a bait shop." "That doesn't mean my office is like the bait shop. I like to think of my office kind of like a slimmed down version of a chiropractic clinic filled ONLY with what actually works. I opted NOT to put an x-ray in simply because it would have cost around 70k to do it. I send my patients out to imaging centers. Why? Because the x-ray is taken on a digital machine, it is read by a certified radiologist, and by the time I see it, it will have had at least 2 sets of eyes on it. Also, because it's digital, I don't have to store the x-ray films. That saves me space, I don't have to rent a bigger place and lowers my overhead. This translates to better prices for care from me, a master chiropractor with nearly 20 years of experience. This also explains why I can offer a great price through our 'PCD' program, or self pay program. You may want to look at that, it may save you money rather than use your insurance. Speaking of... we take many insurances, please call us for details and we'll check. We also accept automobile insurance for car accidents and will work with attorneys. I have 18 years of experience in whiplash and the associated issues and symptoms." "Okay, now about my new clinic, Moss Chiropractic of Inverness. Like I said, I created this clinic based ONLY on what actually works. I am able to offer many services at prices that were before now, unheard of. Why? Because I didn't create a monument to chiropractic, I went bare bones on the build, but all in on the tech used to help YOU." 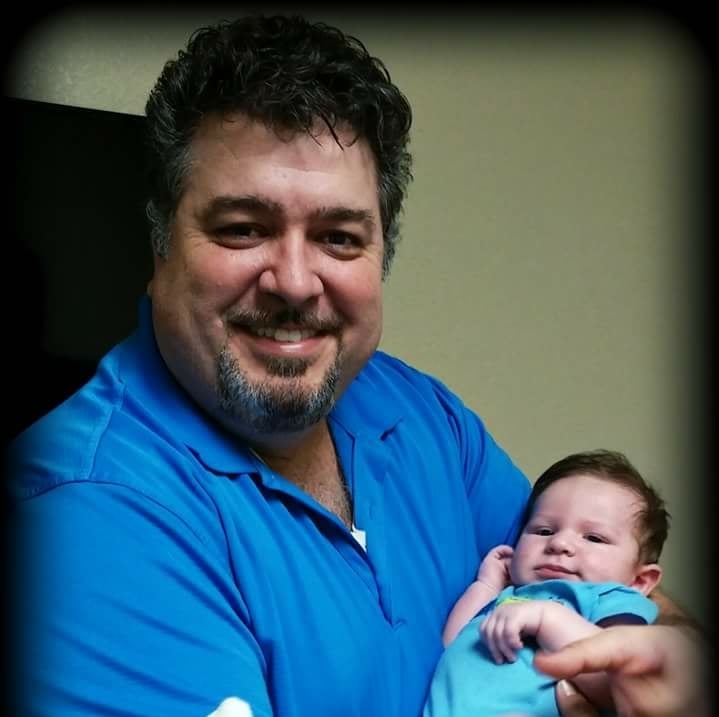 "Here at our clinic we have a Class 4 laser, I believe it is the only one of it's kind in Citrus county. These things are amazing! Truly works on 90% of the population and is amazing for both acute and chronic pain and inflammation. This means bursitis, tendonitis, aches and pains you can't get rid of, arthritis pain, etc... I am STUNNED at how well it works." "So the office is high tech and high touch. It is owned and run by myself, which some would consider a master chiropractor, with years of experience in all types of pain and injuries. We have the latest in pain management technology, a class 4 laser. AND, it costs you less then traditional health care yet is much safer and more effective. Win, win, win. Inverness, I truly care about you and your families. I would like to be YOUR doctor. Give me a chance, I think you'll be impressed."